NASA photo of Mars has everyone talking: Do you see a creature? NASA snapped a photo of Mars that is now making the rounds on the Internet. The reason? Some people see a creature in the image. 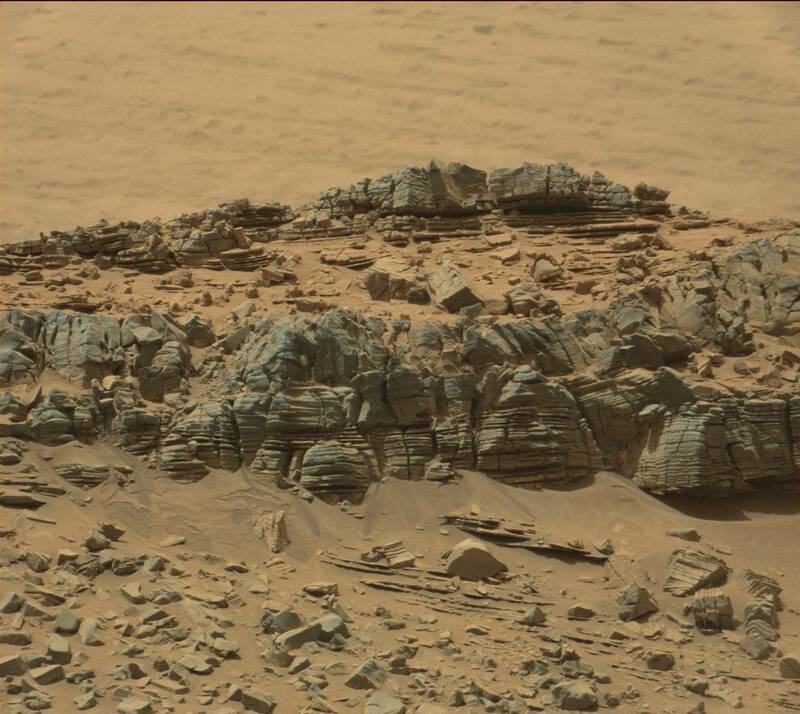 Just a rock formation, eh? Don’t see anything? Well, fans of "Journey to the Surface of Mars," a Facebook group not associated with NASA, thinks there's something more in the photo. A crustacean creature or nothing at all? Seth Shostak, Senior Astronomer and Director of the Center for SETI Research, told the Huffington Post over email that he receives pictures like this at least once a week. Shostak said that in these cases, something called pareidolia is typically at play. “Recognizing a crab in a landscape filled with wind-weathered rocks is no more surprising — nor more significant — than seeing a winking face in a semi-colon followed by a parenthesis,” Shostak told the Huffingtong Post.